The IUD, or intrauterine device, is a method of birth control that is widely used throughout the world, and for good reason. It’s low maintenance, lasts for years, is highly effective and is available in hormone-free options. Not sure if it’s right for you? Here’s more information about this method of birth control. 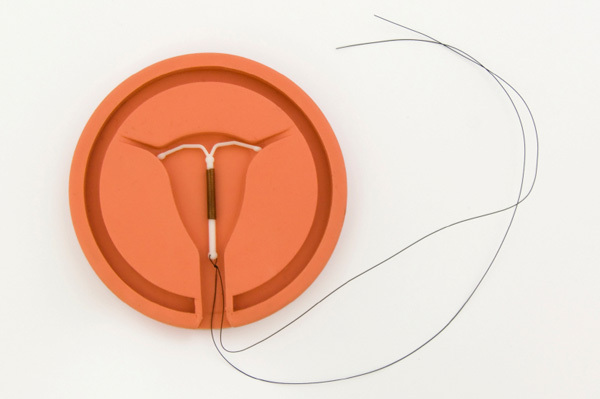 IUDs are small, T-shaped, plastic devices that are implanted into your uterus by a doctor. There are two different types available in the U.S. that are approved by the FDA. ParaGard continuously releases copper into your system to prevent pregnancy, while the hormonal IUD, Mirena, releases progestin into the system. It is the same type of hormone found in birth control pills, and it works by thickening the cervical mucus to prevent fertilization while partially suppressing ovulation. How long is it effective? Hormone-free IUDs last for 10 years after insertion, while hormonal IUDs last for five years. Of course, both types of devices can be removed at any time by your doctor. You’ll only know if an IUD is the right birth control option for you by talking to your doctor. The copper IUD is really ideal for anyone who wants an effective, hormone-free birth control solution. It’s convenient, and once it is removed, you can make a quick return to fertility. According to the Mayo Clinic staff, benefits of ParaGard include decreased risk for endometrial cancer and cervical cancer, plus it doesn’t carry the risk of side effects that are commonly related to hormonal birth control methods. The hormonal IUD offers some of the same benefits as ParaGard, and it can also help to decrease severe menstrual pain and pain related to endometriosis. It also decreases menstrual bleeding after six months of use. How effective is my IUD? Both forms of IUD report that they are over 99 percent effective in preventing pregnancy. This is the same as birth control pills, sterilization, implants, the skin patch and birth control ring. Like these other forms of birth control, IUDs do not protect against sexually transmitted infections. There are certain health conditions that can be prohibitive to using an IUD as your primary birth control method. Neither form of IUD is appropriate for women who might be pregnant, who have pelvic infections or who have had certain cancers. Also, like most birth control methods, IUDs do come with side effects. According to the American Pregnancy Association, potential side effects can include mood swings, acne, headaches, pelvic pain, breast tenderness and nausea. Additionally, copper IUDs may also increase cramping and bleeding during menstruation. Intrauterine devices are a cost effective birth control choice. They typically do not cost more than $500, which isn’t much compared to the cost of a monthly birth control prescription. No matter what type of birth control you choose, it is important to weigh all of your options and make an informed decision with the help of your doctor. That way you will enjoy the maximum number of benefits, while taking steps to avoid potential complications.